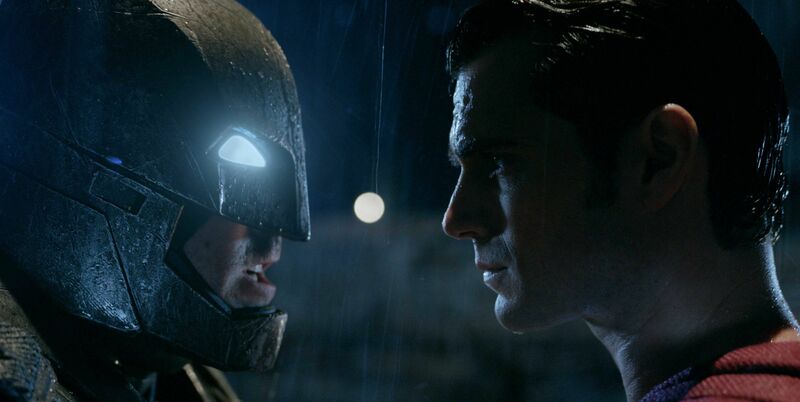 The Dark Knight and the Man of Steel finally clash in Zack Snyder’s Batman v Superman: Dawn of Justice. This highly anticipated comic-book film is part of DC’s “answer” to Marvel’s well-developed cinematic universe; however, instead of being light and fun, DC is going gritty, much to our delight. Ben Affleck, Henry Cavill, Jesse Eisenberg, Gal Gadot, Jeremy Irons, and Amy Adams star in DC’s second step towards the Justice League movie. Zack Snyder seems to have bitten off more than he can chew with Batman v Superman: Dawn of Justice. The film feels like four solid movies are being played at the same time, and some diabolical pest keeps flipping back and forth between the four flicks. There’s no real focus, and therefore no proper development of any of the stories. Appropriate structure wasn’t utilized to allow us to feel the gravity of the events, making for plenty wasted opportunities. Additionally, a lot of the story presented just didn’t make any sense, and often times felt rushed. It wasn’t all bad, as the action scenes are well-choreographed, and intense, including the heavyweight showdown between “God and Man.” Batman’s action scenes in particular are something to behold. Although, at the end of the day, the mostly on-point display of epic battles do not keep the ship afloat. The fight against Doomsday, who is a villain that felt thrown in for convenience at the end, was dull and at times unintentionally humorous. It seemed like he was powered by Windows Media Player. Deep down, there seems to be a decent film in there somewhere. There are some intricate and intelligent ideas presented in the film, but they aren’t explored deep enough or are dropped altogether. For example, Lex Luthor talking about how power can never be innocent or Batman discussing redemption . They touch upon interesting ideas, and then shove on, as if they’re teasing the audience. At other times, the script just comes off as self-important or just doesn’t make sense. If there’s one thing that’s almost universally noted about this film, it’s that Ben Affleck is amazing as an older, grizzled Batman. He steals every scene that he’s in and embodies the tortured soul still hungry for justice perfectly. Every aspect of Affleck’s portrayal of The Dark Knight is inspired. On the flip side, his Bruce Wayne is just as engaging. This Batman is older, more experienced, and cynical; however, his heart is still in the right place and we see that in Affleck’s eyes. Henry Cavill does a fine job once again as Superman/ Clark Kent, but the character he’s drawn out to be isn’t given enough attention. It feels like this Superman is much more interesting given the circumstances, but the film he’s in is just too messy to allow his character to flourish. Gal Gadot does well as Wonder Woman, but she really isn’t given much to do. We see her, and she’s a knockout, then her unfitting theme music comes on and she’s Wonder Woman towards the end of the film and that’s about it. Then there’s Jesse Eisenberg as Lex Luthor, who gives a very dedicated performance that doesn’t really capture the essence of Lex Luthor. It just seemed like he was a highly caffeinated nuisance. There’s plenty to like about Batman v Superman: Dawn of Justice, but there’s more to dislike, especially concerning its narrative structure. Zack Snyder is like a more talented Michael Bay at his best, but he just couldn’t elevate his game to what Batman v Superman: Dawn of Justice could have been: a comic book film classic.